This photograph has been scaled down; full resolution photograph is available here (740 by 600 pixels). 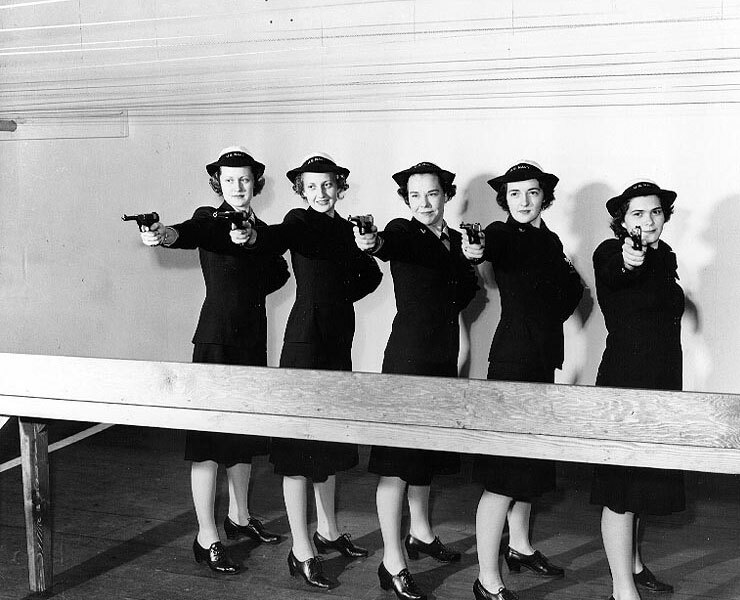 Second from left is Dorothy L. Lane (m. name Tissot) Originally worked at Ft. Mason, then volunteered for WAVES. My brother ...Thomas A. Wolf from Missouri., was in the Merchant Marines and then the regular Navy Submerines including Necular Subs.